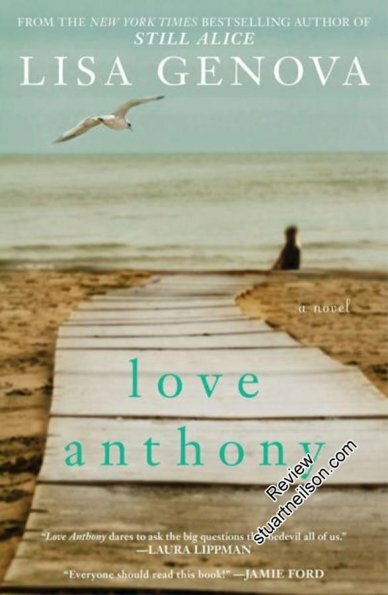 Genova, Lisa - "Love Anthony"
I love this book, in which two women's lives cross in a rich tapestry of almost-touching lives. It is a brave effort to do the literally unspeakable, to speak for non-verbal people with autism. If a non-verbal child of 10 could express his feelings, do you think he would he write Anthony's letter? If so, then this book will have you in tears. Lisa Genova is a neuroscientist who also wrote "Left Neglected" (about hemispatial neglect) and "Still Alice" (about dementia), and clearly knows her subject intimately. In the book, Anthony's voice is channelled through the fiction of Beth, an aspiring writer, and eerily resembles the life of Olivia's son Anthony. The first-person narrative captures a very credible image of what Anthony may have felt in his brief life, how he was motivated and his uncommunicated feelings for the people in his life.